Published Jun 1973 by Marvel. This is a consignment item. A 3% buyer's premium ($19.35) will be charged at checkout. This is a consignment item. A 3% buyer's premium ($14.07) will be charged at checkout. This is a consignment item. A 3% buyer's premium ($17.10) will be charged at checkout. It has been graded by MyComicShop's experienced graders. This is a consignment item. A 3% buyer's premium ($10.77) will be charged at checkout. It has been graded by MyComicShop's experienced graders. This is a consignment item. A 3% buyer's premium ($16.50) will be charged at checkout. It has been graded by MyComicShop's experienced graders. The Green Goblin kills Gwen Stacy in "The Night Gwen Stacy Died," a story that fans still talk about. It was the first big shocking death in comics (perhaps even ushering in the bronze age!). 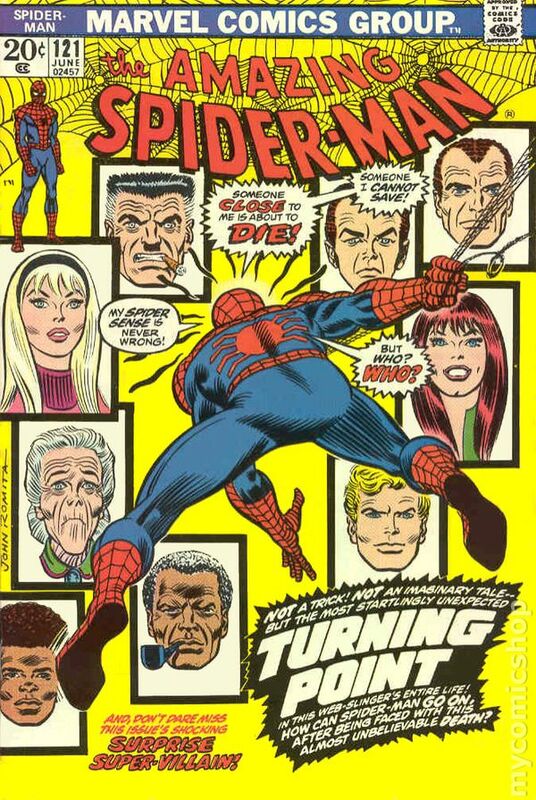 Script writer Gerry Conway is remembered by many as "the writer who killed Gwen" (even though obviously Stan Lee himself okayed a story of this significance). Gil Kane provides the unforgettable pencils, with inks by John Romita Sr. and Tony Mortellaro. 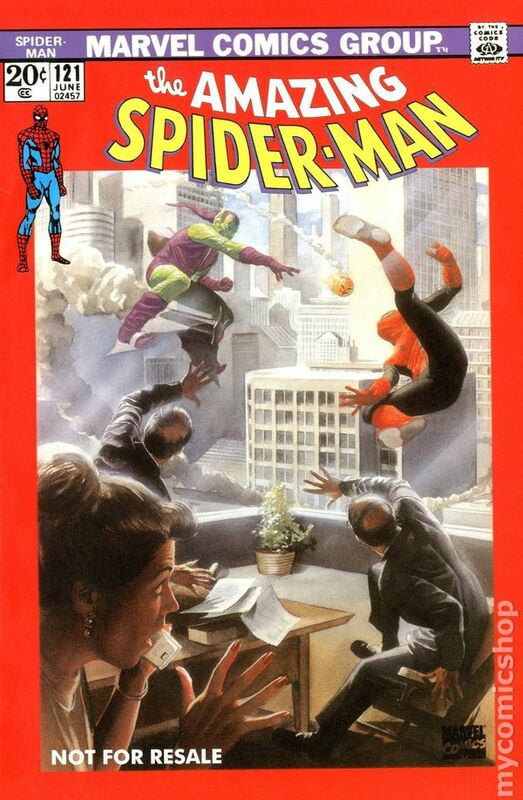 Romita cover. The story continues in issue #122. (Reprinted in Marvel Tales # 98 and 192.) Cover price $0.20.